In these conditions 'the company' means Sharps global trading ltd and 'the customer' means the person or company to whom this document is addressed. Goods are not sold on sale or return or exchange basis. Orders received before 2pm will dispatched the next day for following day delivery. Orders placed are for delivery with in the UK mainland only. If you require a delivery for Northern Ireland, The Isle Of Man or any of the off sure Islands in Scotland we would need to be contacted so that the additional delivery costs could be calculated. Please refer to our contact us section to be able to do this before placing any orders. The customer shall make payment in full prior to delivery. The ownership of materials delivered by the company shall only be transferred to the customer when full payment including delivery charges are made, The risk of accidental deterioration or destruction shall pass on delivery and the customer shall insure against such risk. The customer shall pay all accounts in full and not exercise any rights of set-off or counter-claim against invoices submitted. All the content of this website are copyright of Sharps global trading ltd. You may view the website on your computer screen and print its contents for you personal use only. JAZZYHAIR is a registered trade mark of Sharps global trading ltd.
Jazzyhair make every effort to maintain clear descriptions and endeavour to use such "up to date" images that are representative and truly reflect the item to be purchased. However Jazzyhair cannot be held responsible for [a] any perception you may have in product representation and [b] the manufacturer's obligation of a right to change product specification including colour or design at any time and without notice. All prices are correct at time of publication. Jazzyhair reserve the right to change, alter or amend any price at any time without notice. Should a product price decrease since an original purchase, contractually we are not obligated to refund the difference. Similarly, should an increase occur prior to purchase, we are not obligated to sell at the previous lower price. 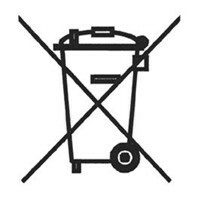 Sharps Global Trading Ltd is obliged under these regulations to offer our customers free take-back of their WEEE on a like-for-like basis when they buy a new Electrical or Electronic product from us.